During my time living in Kyoto, one of the best discoveries I made was the entire floor of ramen restaurants in the Kyoto train station. From the time I found the shops to the time I left to return to the United States, I tried every one. The process was unlike eating out in America. Customers placed their orders at a tiny vending machine located near the door of the restaurant, hitting the photo of the dish they wanted and paying into the slot then collecting the ticket that served as proof of their order. Then comes the waiting, each place has a line going out the door since each shop can seat maybe ten people at a time. The goal is to taste the delicious food, not linger over the meal with conversation. People shuffle in from the line as room becomes available, their chosen dish placed in front of them, and then they leave as soon as they’re done eating. The focus is all on the food, and rightly so! The noodles are usually fresh and delicious, the broth flavorful, and the pork succulent. 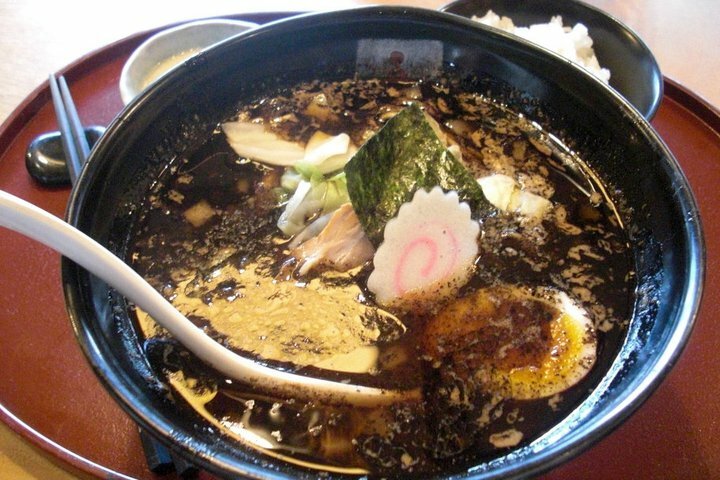 I recommend trying one of the ramen that comes with an egg, it really heightens the whole experience. Often I’d go with friends to these ramen shops, but you rarely all get in at the same time and usually aren’t seated together. When I’d go alone, it was a nice time for reflection and the ability to enjoy the experience of eating something so well produced. If you’re ever in Kyoto, even just to catch a train elsewhere, I’d recommend going to the tenth floor and ordering some ramen.